Love uniquely designed wedding cakes. 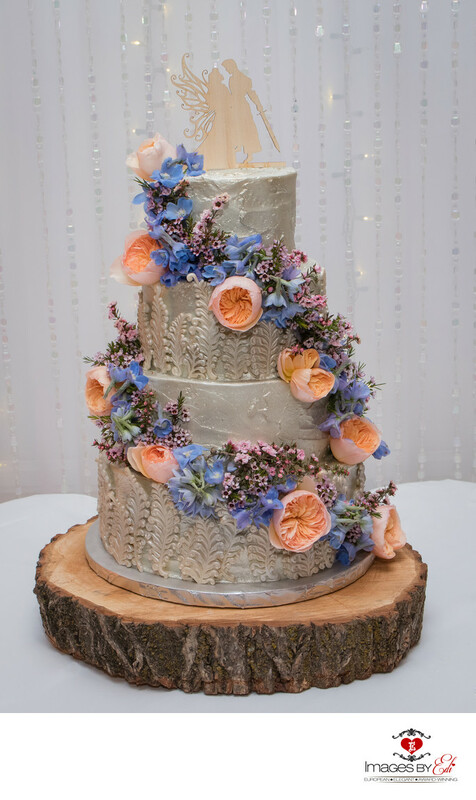 This Fairytale wedding cake at the Grove Las Vegas is one of my favorites of all with all the design elements on the cake and the flowers all around, sitting on a wood holder! It is just perfect!